Finding Dory is in theatres right now! Enter to win free tickets to see the film from Quaker! There are 6000 free tickets up for grabs, 100 tickets daily! 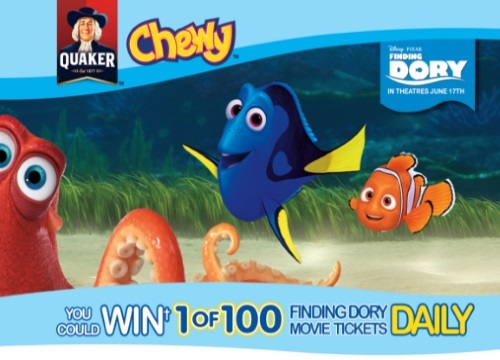 Look for your unique PIN printed inside specially marked boxes of Quaker Chewy granola bars (156 g). No purchase necessary. Contest ends July 13, 2016.